Ad budgets earmarked for the desktop Web will shift to mobile in the next five years, propelling U.S. local mobile: 88% of all local online advertising will be delivered on a mobile device. 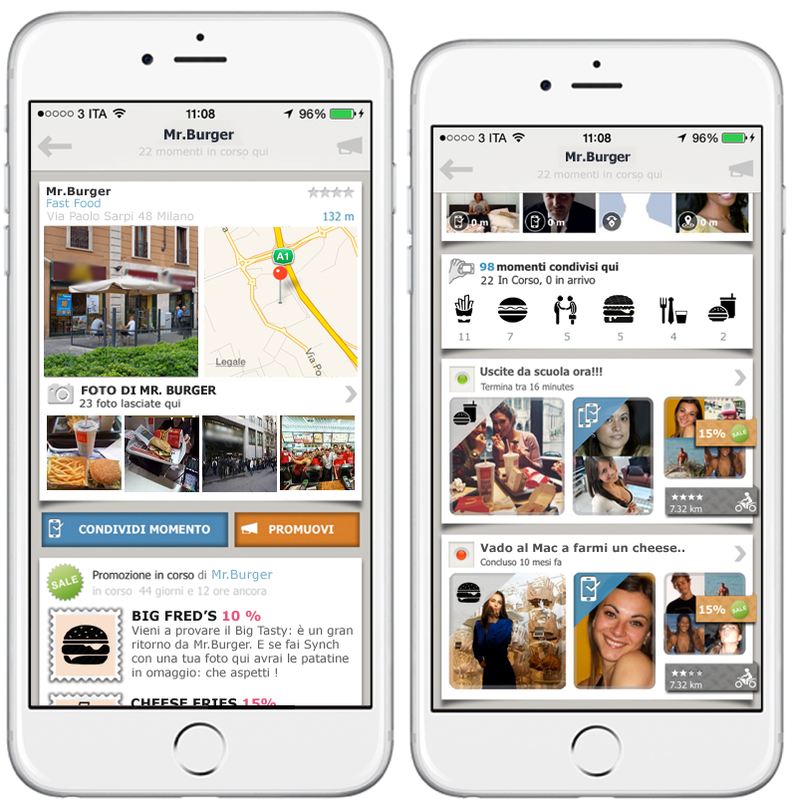 In-app “proximity” marketing” is driving the scenario. Mobile users are far more likely to click on ads served in an app than via mobile browser, and Q3 2014 data from InMobi supports this. Looking at ads served on the source’s monetization platform, in-app ads served worldwide last quarter—which grabbed 80% of impressions—saw an average clickthrough rate (CTR) nearly 2.8x higher than placements on the mobile web. At the same time, average eCPM for in-app advertisements were about 2.5x that of mobile web ads. This makes sense when one considers how mobile users spend time with their devices. June 2014 data from comScore showed that US smartphone users spent 88% of their phone time with apps and just 12% with browsers, and those figures came in at 82% and 18% for tablets, respectively. 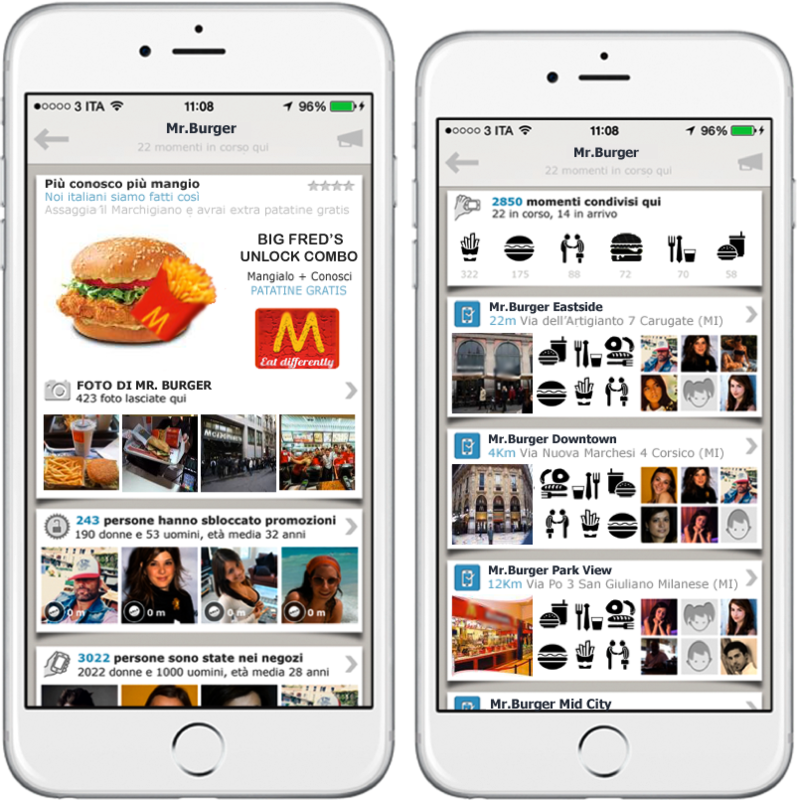 How do consumers interact with in-app ads on each of these device types? InMobi found that while the overwhelming majority (85%) of in-app ad impressions took place on smartphones, tablets overindexed for average CTR and eCPM here. Average CTR for the larger-screen mobile device was nearly 55.4% more than that of smartphones. In terms of eCPM, in-app ads on tablets saw a rate nearly 35% over ads served through smartphone apps. Accenture study says CIOs believe more and more in mobile location based sevices and are ready to invest up to 50% of IT budget. 79% of CIOs believe mobile is the sector that will produce the greatest profits. Your Company has created a great value stores chain and your brand is globally recognized. 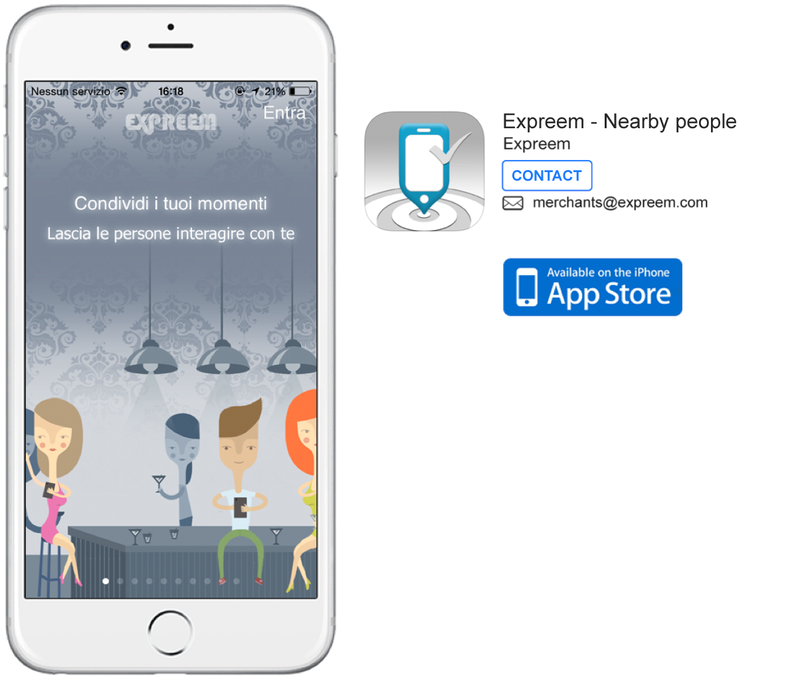 Expreem mobile app provides Premium geo-located marketing services for large chains. 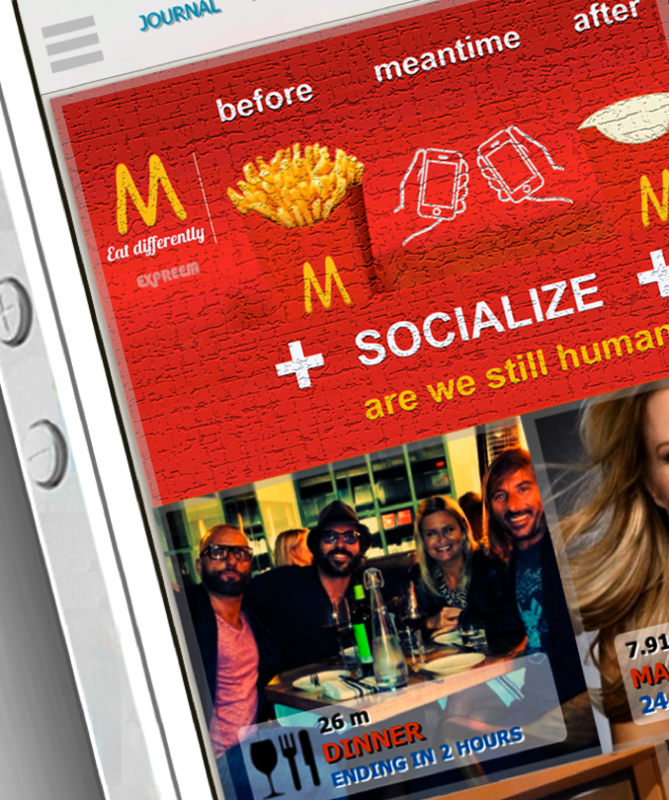 What you need is a campaign that combines the typical features of your brand with a cool concept involving the use of smartphone for interacting with your product and socializing with nearby people. People come into your store, share their photos on expreem using a tailor-made tag icon designed to launch a product, and from that point on all the people who are in the store can connect with each other by activating a series of content-sharing functions that facilitate social interaction. 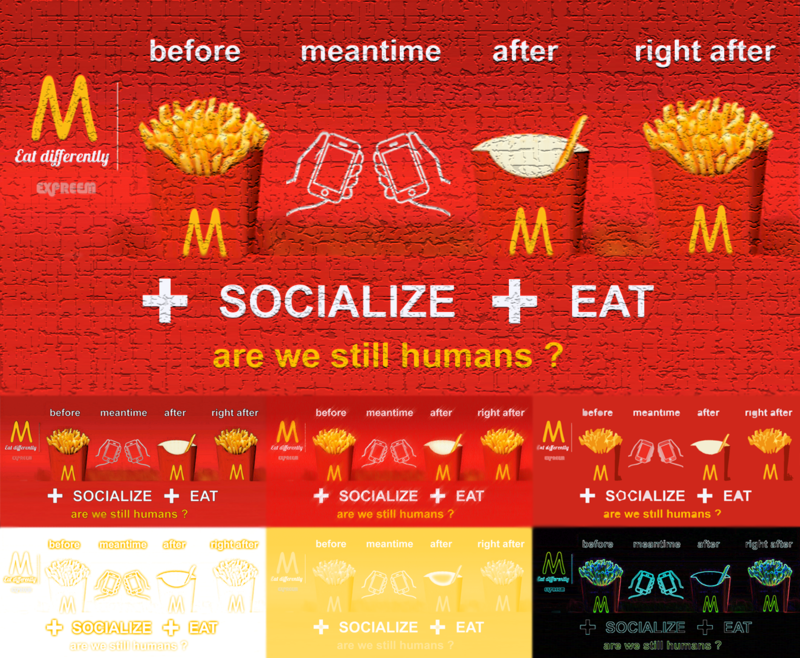 Simultaneously, active promotions are unlocked: for example, “If we now take this menu you will have the chips for free”. And much more. The Local Journal is a page where the content is aggregated by proximity and relevance to each user, in real time, in a maximum radius of 30 Miles. The Local Journal, which is a kind of “entry page”, is the one that receives the most impressions and clicks across the app. Currently receives about 20,000 impressions per day globally. Within this page we have an advertising space on top (header) integrated with content. The position is dedicated solely to business activities in the area, and when there are no advertisers, the algorithm dispays one of the most relevant attractions or business closer to the user at that moment (crowdedness, popularity, friends etc ..). This positioning has a CTR of almost 40% because it is perceived as content. The Local Journal Header is the ideal place for starting a branded campaign on a national level involving all stores nationwide. This space can be filled with the teaser that leads to an intermediate page that contains the entire history of the brand and all of its stores. This intermediate then second page is the launch to access individual pages dedicated to the stores closest to the user. The intermediate contains a teaser re-launch, followed by all contents grouped together coming from all the stores. Here you can see all the pictures and all the people who have unlocked any promotions, who have made access in the store (including statistics of gender and age), the number of total activities started in the store divided by type of purchase or purchase intent. The number of activities that are still in progress at the time (people who are currently in stores) and upcoming events (people who plan to go there). Scrolling down the page you will be displayed individual points of sale previews , from the nearest to the last farther. Moving forward from the preview frame you will access pages dedicated to individual stores (Place Page). Any available promotions in specific stores are also displayed in previews. The page dedicated to each point of sale contains elements already seen the Intermediate, but filtered by the individual store. Available promotions are positioned on the first half of the screens so to be visible immediately. All the activity preview (or moments) shared in that place, follow down. Priority is given to those still in progress and therefore available for possible interactions. The activity preview are linked to full activity detail. Promotions can be unlocked only when you are physically in the store or just a few steps away. Once unlocked the promotion and made a purchase, the user can have it validated during checkout by personnel using a dedicated password linked to that promotion. These records can be used later for Loyalty programs. 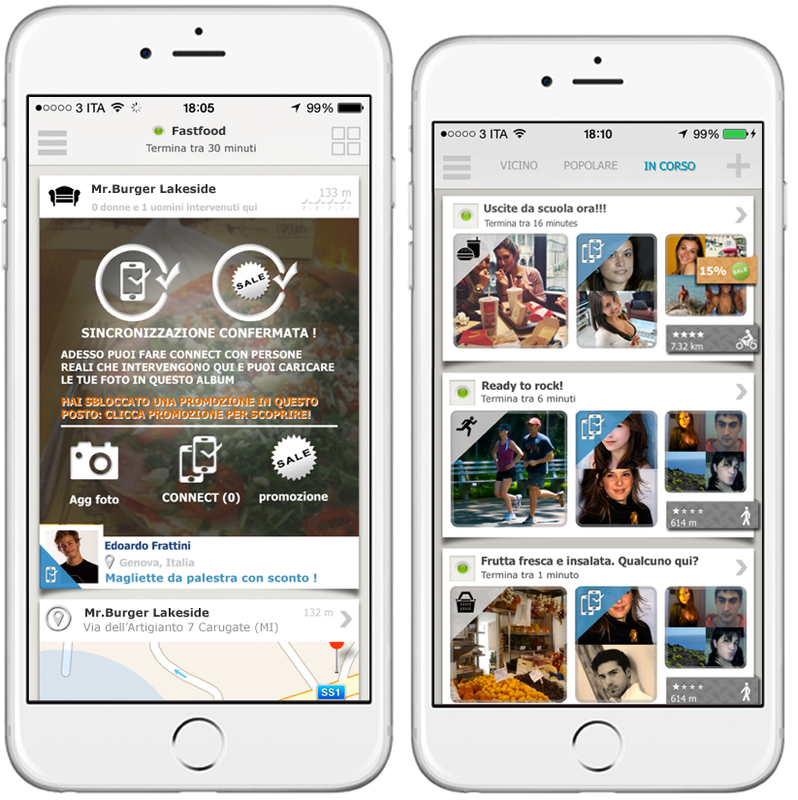 Often users are not aware of promotions or are simply using the app to share their moments or to interact with people in the surrounding area. 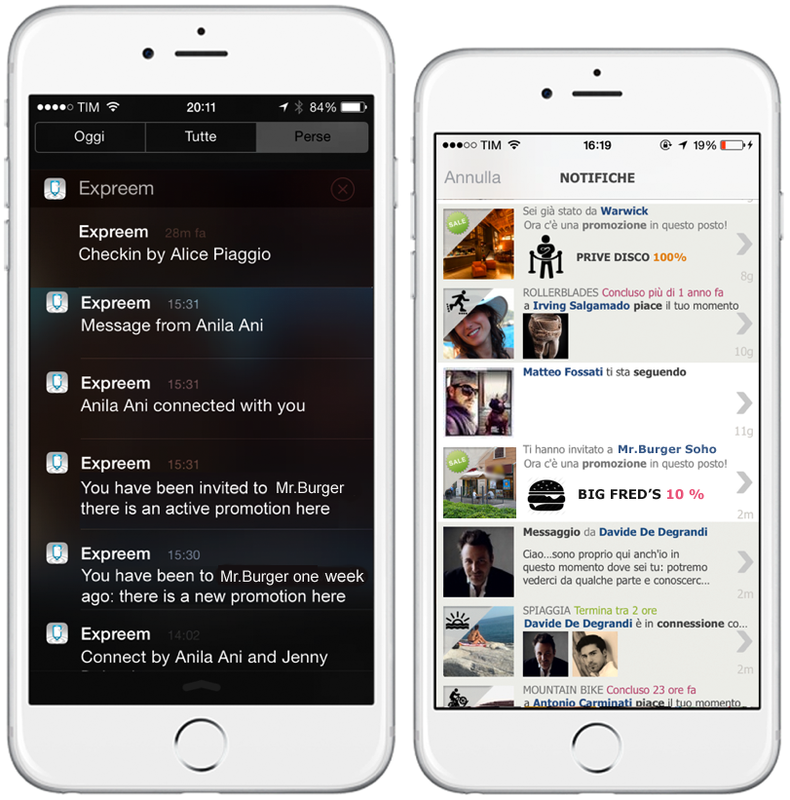 On expreem we integrated the promotions-unlocking feature within the posting, the sharing and the interaction status feedback. So the user doesn’t have to do any effort and gets aware at any time possible that he is into or near a place where there is a discount. 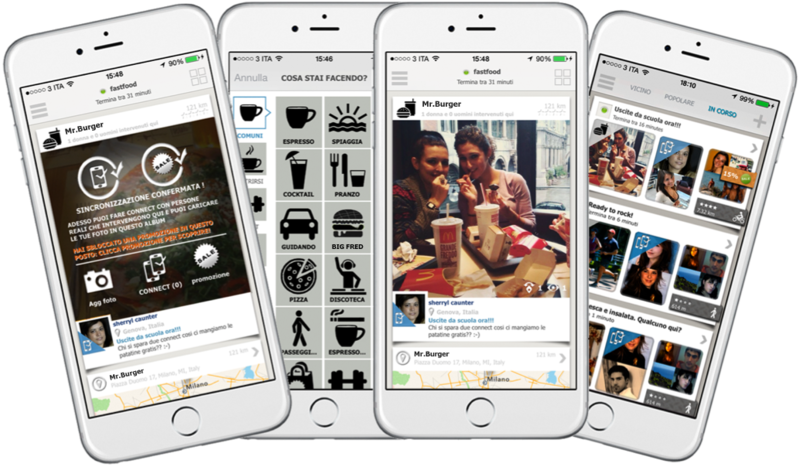 In the activity preview there is also a label that identifies the presence of a promotion that makes it become viral and create awareness even for people who are not nearby or who are not looking for discounts at that time. In any activity detail, after the main picture, we placed, always visible on the first part of the screen, the place badge that links directly to the Place Page, continuously generating traffic. This is a sort of more advanced text message because it delivers a specific sounds providing different automatic messages related to the geo-context. 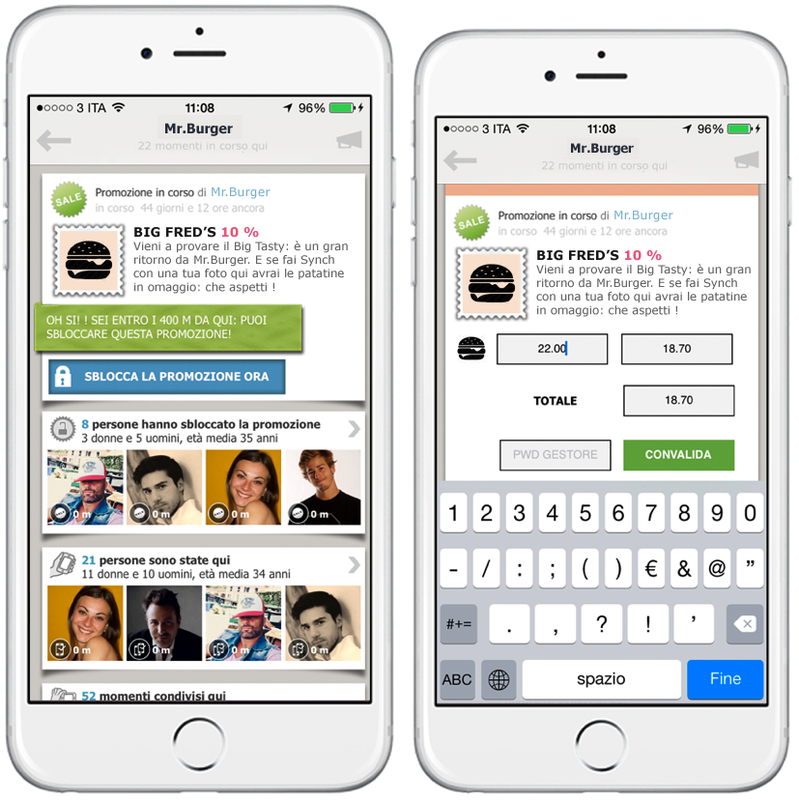 Notifications of invites to individual point of sales, new promotions or promotions activated in places recently visited, are integrated together with notices and updates related to social interactions and are received either as internal notifications either as push notifications. This is a very effective way to periodically send real-time informations that grab attention even if the application is not currently in use. Want to get in touch with us? Write to our Brands Manager. 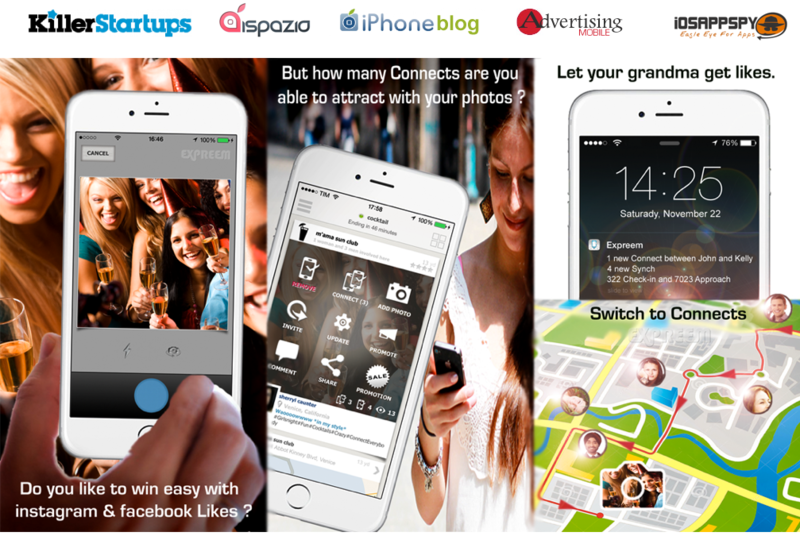 Do you want to learn more on Location Powered Mobile Advertising and LBS mobile marketing? Click HERE.